Drupon Rinchen Dorje entered Tana Monastery in 1984, receiving his vows as a novice monk from Tulku Nyendrak Gyaltsen Rinpoche. 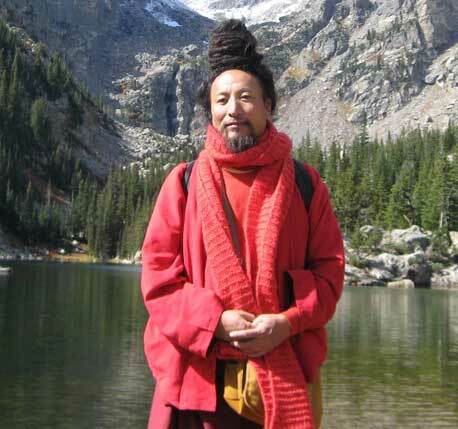 While helping with the reconstruction of the monastery, he received teachings on the Fivefold Path of Mahamudra and Kunsang Lama’s Words of Profound Instruction, Dzogchen’s Great Completion Parting from Samsara and Nirvana, Pointing Out the Nature of Mind, and other teachings from Tulku Nyendrak Gyaltsen Rinpoche. Rinpoche has also received Chakrasamvara according to Drilbupa, including the empowerment, scriptural transmission, and pith instructions from Tulku Thogme Rinpoche. retreat courses, one at Almora and one at Lapchi, the holy retreat place of the great yogi, Milarepa. He has received profound instructions too numerous to mention during these retreats. Drupon Rinchen Dorje currently is the resident lama for Chicago Ratna Shri and the three-year retreat master at the Garchen Buddhist Institute in Chino Valley, Arizona.